Trump’s Taiwan instinct: a threat to peace? Donald Trump has signaled his interest in using America’s ‘One China’ policy as a bargaining chip  in negotiations with China over economic policy (including currency manipulation). While this ‘instinct’ of his isn’t without merit, it could represent a threat to peace for which Australia must be fully prepared. In brief, the ‘One China’ policy for Australia and most countries, but not the US, has meant formal diplomatic acceptance of the view that there’s only one China and that the People’s Republic of China (PRC) is recognised as the government of China. Since the declaration of the PRC government in 1949, after its defeat of the forces of the Republic of China (ROC) in the civil war on the mainland, the PRC and ROC have been locked in a complex military, political and diplomatic confrontation. When the US conducted its negotiations with the PRC on normalisation of diplomatic relations—to switch formal diplomatic recognition from the ROC on Taiwan to the PRC on the mainland—Washington didn’t go as far as almost all other countries. Instead, it took note of China’s position to that effect. It refused to recognise Beijing’s entire formula for the ‘One China’ policy because China refused to formally commit to an exclusively peaceful solution to the stand-off. 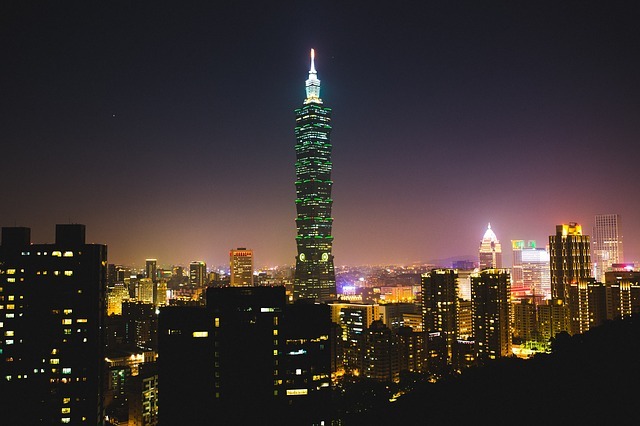 The US has maintained official representation in Taipei, along with a military alliance, ever since the switch of recognition in 1979. In the very year that US recognised Beijing, China began its first serious peace overture to Taiwan, though the move didn’t bear fruit until the two warring parties met in 1992 and agreed themselves that there’s only one China—the mainland and Taiwan. But they didn’t address the question of which government was in charge. At that time, the ROC maintained the formal diplomatic fiction that it ruled all of China, including the entire Spratly Island group in the South China Sea. Much has changed since then. Taiwan has become a democracy and China has become the island’s main investor and main trade partner. Economic integration has continued apace and China’s policy has been to bind Taiwan to China ‘with economic ropes.’ The significance and subtlety of many of the political and military maneuvering has changed over time. The military threat from the PRC to Taiwan hasn’t disappeared but it has been pushed very far to the back burner. Taiwan has even resisted Washington’s efforts to push weapons purchases on it that its armed forces don’t want. But it values highly the US ‘alliance’ because China’s armed forces have become so powerful in the past two decades. Since June 2016, Taiwan has again been under the Presidency of the pro-independence party, the Democratic Progressive Party (DPP). When it last held the presidency (2000–08), there was no major breach with China and, in fact, relations improved steadily. The Bush administration even enhanced its military exchanges with Taiwan, as did Japan, without serious impact on relations with China. January 2017 presents us with a very different scenario. The Bush mantra on this issue was ‘I want good relations with China,’ no matter what we do with Taiwan. Trump, by contrast, appears to believe that he can use US recognition policy on Taiwan as a bargaining chip to gain concessions from Beijing in economic policy. We can credit his instincts. The issue is so important to China that one might expect it would be prepared to make concessions to preserve the current US positions. But he’s misreading China’s leadership and national sentiment in that country, especially its armed forces. When China agreed to the current US diplomatic position in 1972 and 1978, it did so from a position of severe relative weakness. That was four decades ago. While China today has some economic and military vulnerabilities that the United States could exploit in a Taiwan-related negotiation, the leaders in Beijing sees the country as powerful enough to get its way on Taiwan issues. They also see themselves as well within their rights to use all forms of state power to do so. Moreover, the US position established in the 1970s leaves that country almost no room for maneuver except outright recognition of Taiwan independence. Australia’s response to any move by Trump away from the One China policy will include a calculation of siding with our major ally, and with the democratically-elected government of Taiwan. But we need a clear-eyed view of just how China, and Taiwan itself, might react to a threat of unravelling strategic stability in the Taiwan Strait. It’s that stability, forged in 1972, that brought a sort-of peace to all of East Asia and helped contain Soviet power until the USSR collapsed. Modern China will use force when threatened. In the very year that the US granted it formal diplomatic recognition, China invaded Vietnam. Its armed forces currently train for an invasion of Taiwan. But China has many economic levers it can pull, to devastating effect, before it needs to consider use of armed force. China also has cyber warfare options against Taiwan and the US that didn’t exist until quite recently. Australia’s planning must include a view on whether the risk of unravelling Asian strategic stability is worth followership of our major ally if it threatens the Taiwan consensus on which that stability is built. Greg Austin is a professor in the Australian Centre for Cyber Security. Image courtesy of Pixabay user Unsplash. Above is a correction version of the original post.